Van Gogh painted this small view of the sea using thick gobs of color and a rough brushstroke. The raging, foaming sea, the dark, thundery sky, and the boat's flag whipping in the wind all give a good impression of stormy weather. Van Gogh painted this picture on the spot, at Scheveningen, a beach resort near The Hague. He had to fight against the elements: the gusting wind and flying sand, which stuck to the wet paint. Most of this was later scraped off, but a few grains can still be found in some of the paint layers. 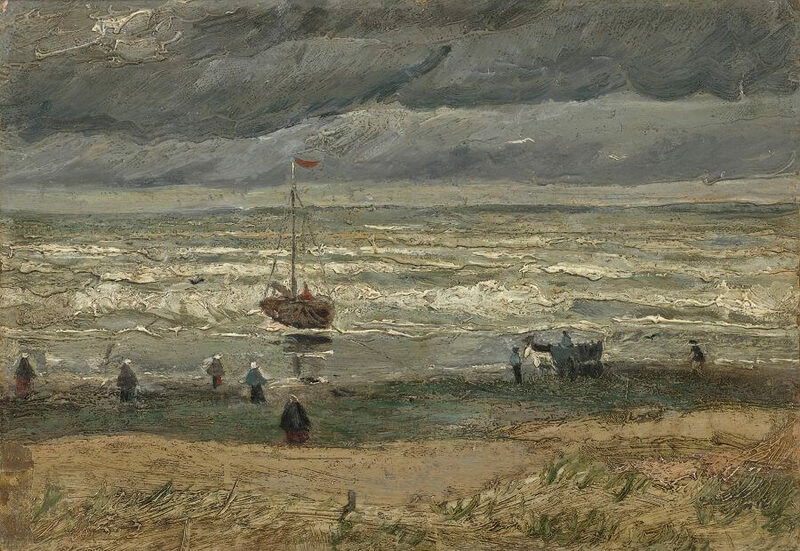 View of the Sea at Scheveningen was stolen from Van Gogh Museum in Amsterdam in Dec. 7, 2002, along with another Van Gogh's painting Church of Nuenen. Two thieves used a 15-foot ladder to climb onto the museum's roof and break into the building, escaping by sliding down a rope. 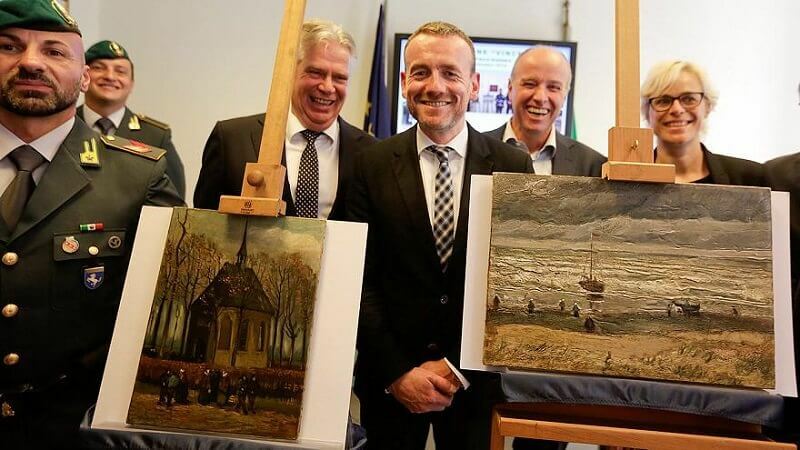 These two paintings were recovered by Italian police 14 years after theft.